Attorney Aaron C. Lopez earned his Juris Doctor from Valparaiso University School of Law, where he served as treasurer to the Latino Law Student Association for two years. While in law school, Attorney Lopez gained experience through pro-bono legal work as well as through his internship with the Lake County Prosecutor's Office, Felony Division. 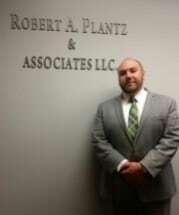 Attorney Lopez is a member of the Indiana State Bar Association and the Lake County Bar Association. He focuses his practice on daily courtroom litigation, trial work, and client representation in State and Federal Courts throughout Northwest Indiana, in the areas of trial law, tort law, family law, criminal law, and all general areas of practice. Attorney Lopez is a lifelong resident of Northwest Indiana.